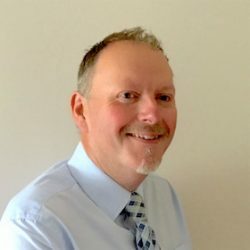 Richard has over 22 years’ experience in Primary education firstly as a classroom teacher and as a PSHE subject leader in a variety of rural and city schools. This led to 9 years’ service as an advisory teacher for PSHE education with Wiltshire Council where Richard led the Healthy Schools Programme for the county and managed a team of school advisors developing all aspects of PSHE education and Citizenship in Early Years, Primary and Secondary school settings. Richard has also worked as a PSHE Regional Advisor across all London boroughs with responsibility for training teachers within the National PSHE Accreditation Programme in partnership with Roehampton University. Now working part-time for the University of Cumbria, Richard educates the teachers of the future as part of the University’s Undergraduate and Postgraduate teacher training courses. His specialist areas within the University are SMSC, PSHE, RE, education studies and behaviour management. When he is not at University, Richard works as an independent consultant offering schools in Cumbria and surrounding areas support and advice to develop teaching and learning in PSHE. As a University lecturer, Richard also has a research brief and he has presented his current research about homophobic bullying in primary schools at regional and international conferences, and to school colleagues. In his spare time Richard enjoys gardening and looking after his growing menagerie of pets on his smallholding in rural Cumbria with his husband Andrew. Richard also enjoys acting and singing and is a member of his local community choir and Panto society. He prides himself on being Kate Bush’s number one fan!